When the U.S. Postal Service announced it would shutter 82 mail processing facilities in 2015, it planned to start closing many of the plants in January. But for at least 10 of the facilities, USPS has now moved back that timetable to April or later. 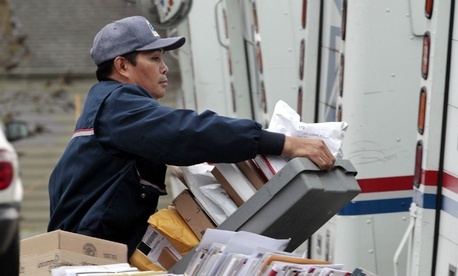 The Postal Service began consolidating its nationwide infrastructure of processing facilities in 2012, and shuttered 141 plants in the first phase of its “network rationalization” plan. The second phase was originally set to begin in 2014, but was delayed to 2015 as USPS awaited the possibility of more sweeping reform from Congress. While lead postal negotiators attempted to pass a USPS overhaul in the waning days of the 113th Congress, they failed to do so and the agency is primed to move forward with its consolidation plan. Opponents of the bipartisan reform bill, which was spearheaded by Sen. Tom. Carper, D-Del., pushed for a more concentrated effort to stave off the closures, but that effort also fell short. Now, postal management says it needs more time than originally anticipated to make the operational changes that precede the closures. “The Postal Service will initially focus on stabilizing the operating window changes that will occur in all plants beginning today, Jan. 5,” said Sarah Ninivaggi, a postal spokeswoman. Postal customers will, in many cases, see their mail delivered more slowly when the consolidations are completed, with overnight delivery reduced the most dramatically. Ninivaggi added when those changes are implemented -- and after USPS reacts to “any potential winter weather disruptions” -- the agency will move forward with the closures. Many lawmakers in the last Congress, including a majority of senators and 160 House representatives, signed a letter asking USPS to delay the plans for at least one year. Ninivaggi did not respond directly to whether political influence played a role in the rescheduling, instead offering operational and weather-related explanations. Lawmakers have said the consolidations would cut 30,000 jobs; a Government Executive analysis of USPS figures showed more than 7,000 job losses, with even more employees being forced to relocate. The Postal Service completed the first phase of its consolidation plan without any layoffs, and hopes to do the same this time around. The first phase is saving $865 million annually, the agency said, projecting the new round of cuts will generate an additional $750 million in savings each year. Many of the consolidations scheduled for mid-2015 have also been moved to later in the year.